My friend and climbing partner, Dylan Johnson, recently became a father, and thus has been very busy at home. 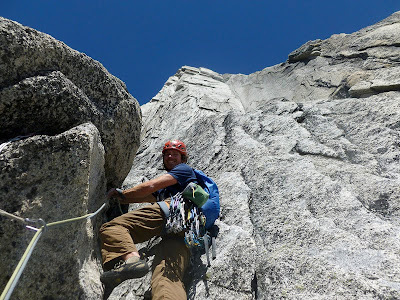 Nonetheless, on July 26 he made the epic drive from his new home in Ventura, CA, back up to Seattle, and the next day we took off on an 11-day mini road-trip - the longest climbing trip he's been on since the birth of his daughter, Emma. We loaded up his Toyota Matrix with a variety of climbing gear to keep our options open, and headed north, with our only set plan to stay flexible and check weather forecasts often. 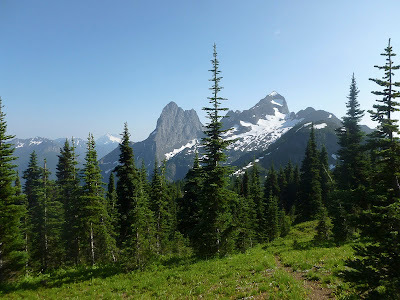 On I-5 about an hour north of Seattle, we decided to make our first stop in the North Cascades, at the Hozomeen Peaks. 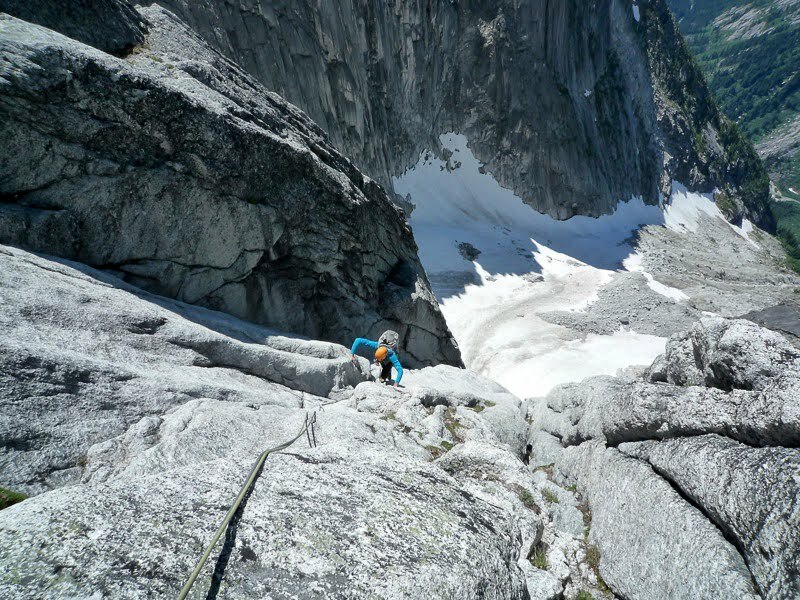 The North and South Peaks of Hozomeen are just barely inside the US, but the best access is from the Canadian side. 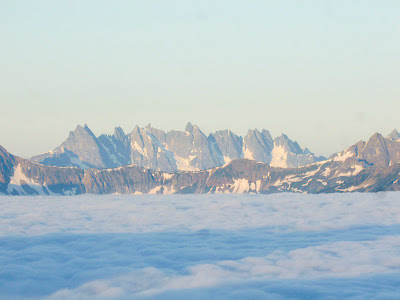 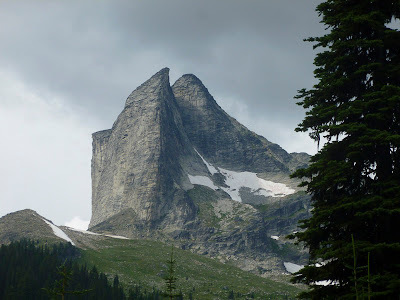 I've wondered about Hozomeen for years, in fact ever since reading the "Battle for Hozomeen" chapter in Fred Beckey's "Challenge of the North Cascades" when I was fourteen years old. 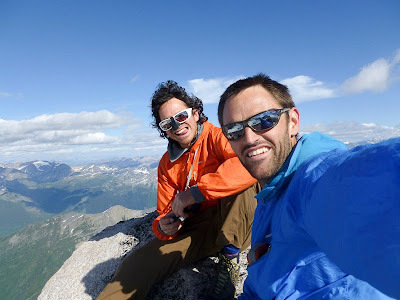 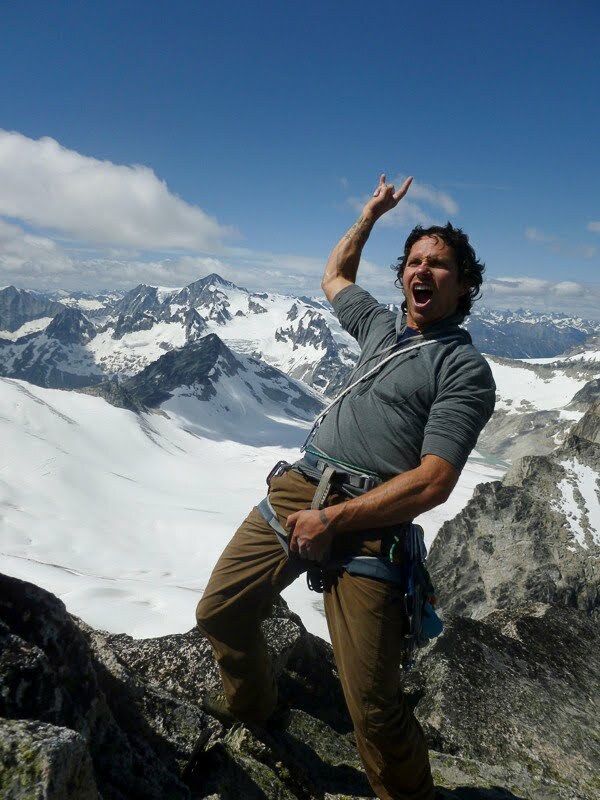 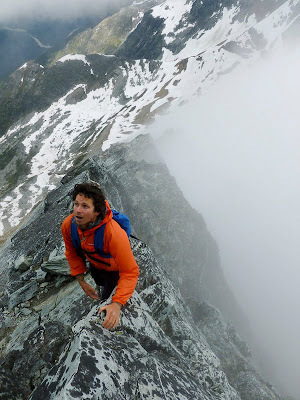 Neither Dylan nor I had ever been to Hozomeen, but we set our sights on the much-discussed and unclimbed "Zorro Face" (west face) of North Hozomeen. 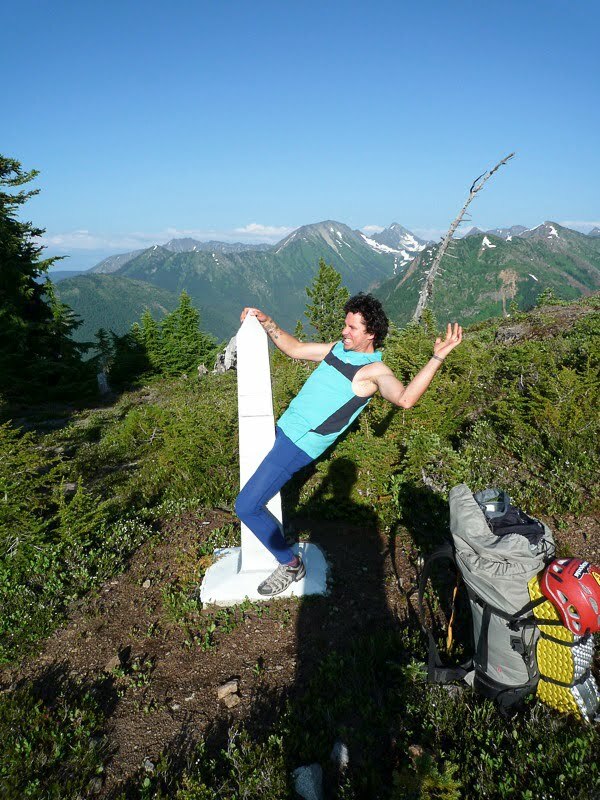 On the evening of the 27th we rolled into Ross Lake Campground (which has got to be the most relaxed Canada-US border crossing that you can drive a car through) and passed out. 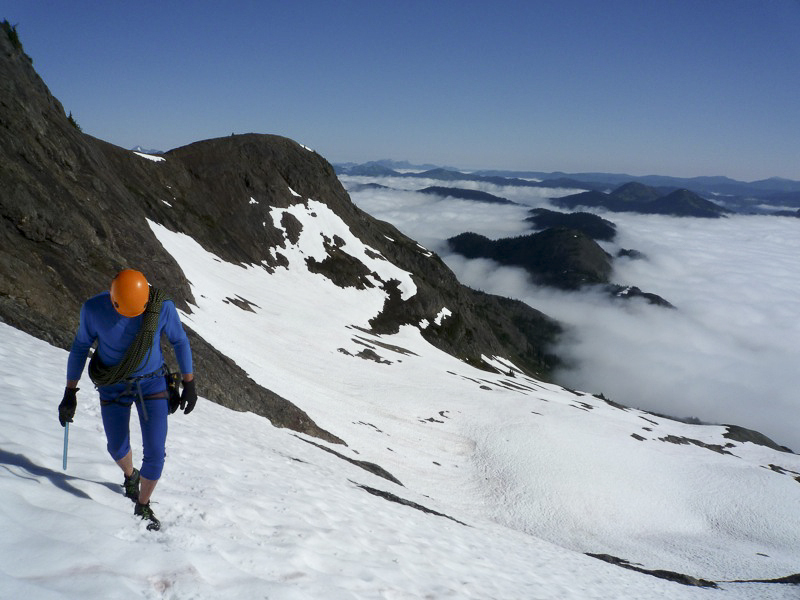 The next morning we packed up, and made the long, but bushwack-free approach to North Hozomeen. 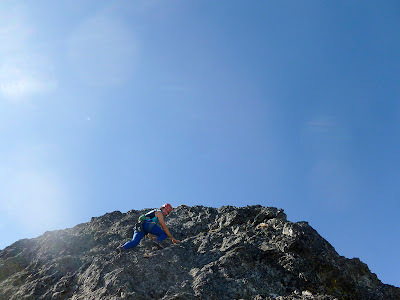 Because other teams had been turned back trying to approach the Zorro Face directly, we planned a semi-technical descending approach from a notch on the north ridge, and bivied just a little ways below the ridge. 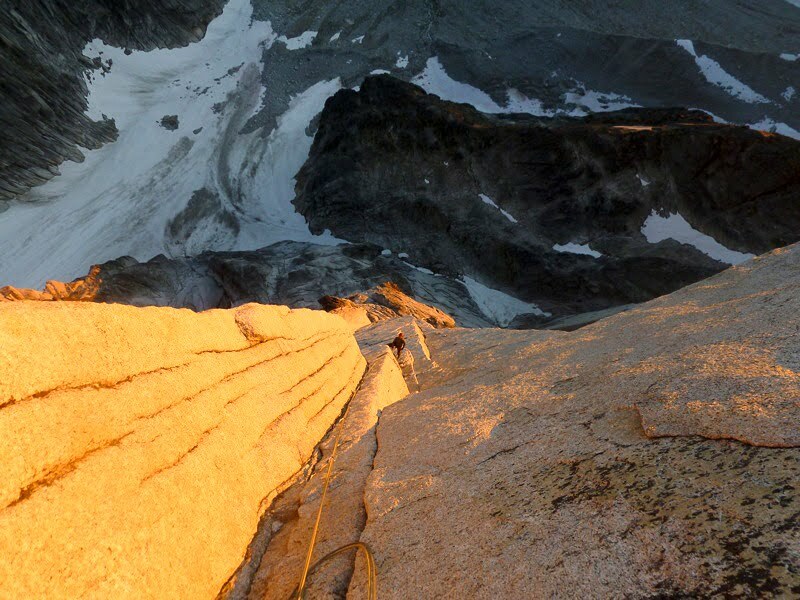 We woke up early on the 29th, dropped down from the north ridge notch, and down-climbed a long 3rd-class gully to reach the base of the Zorro face (note to future attempts - I am confident this is the best approach). 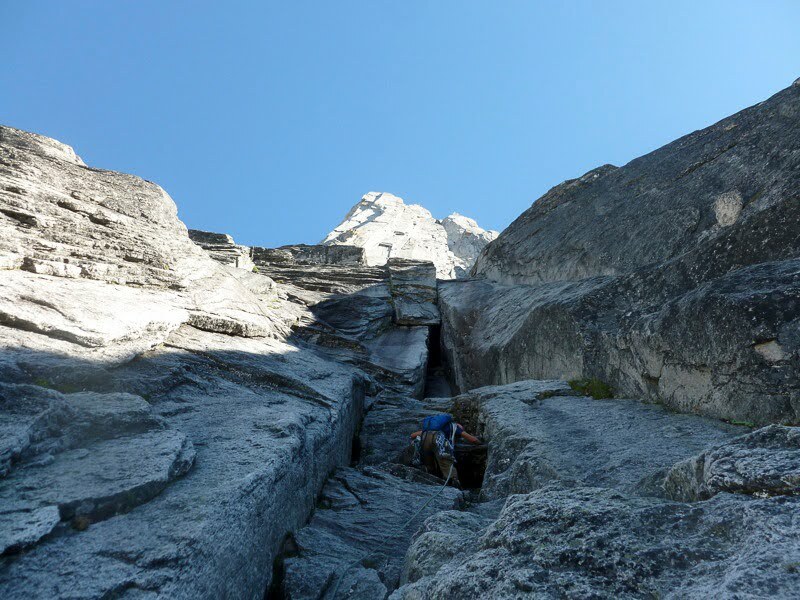 However, as we slowly became familiar with the rock on our descending approach, and the face came fully into view, we both decided that our strategy/equipment/ability was no match for this behemoth! The face is very large (I would estimate 800 meters), much steeper than we expected (the left side is even overhanging for large areas), the rock is friable, and most importantly, there are almost no protection cracks, even for thin pitons. 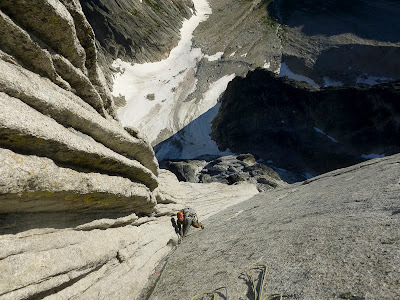 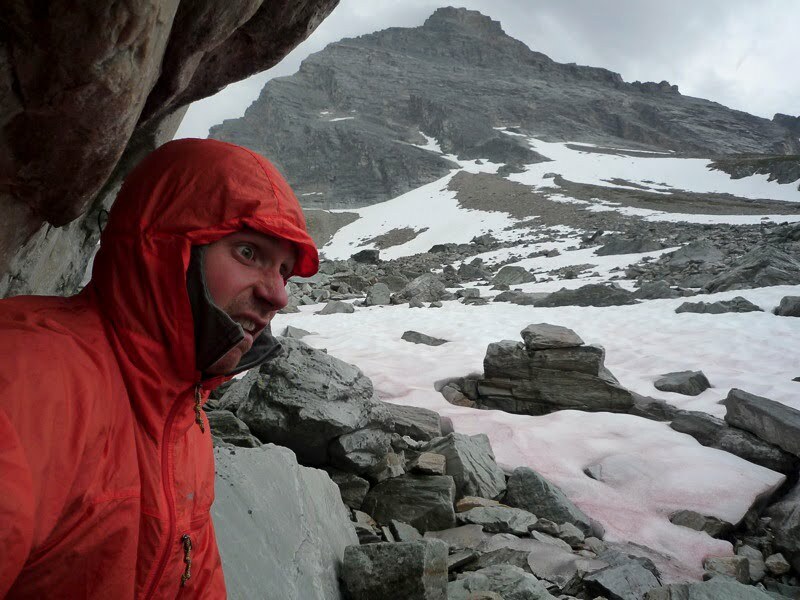 We bailed back up our approach gully, and climbed the normal 4th-class route up the north side of North Hozomeen. 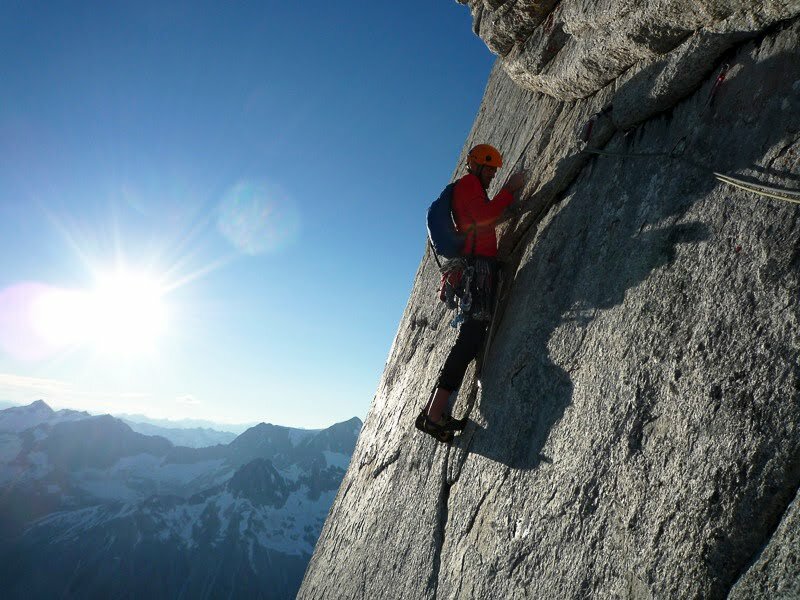 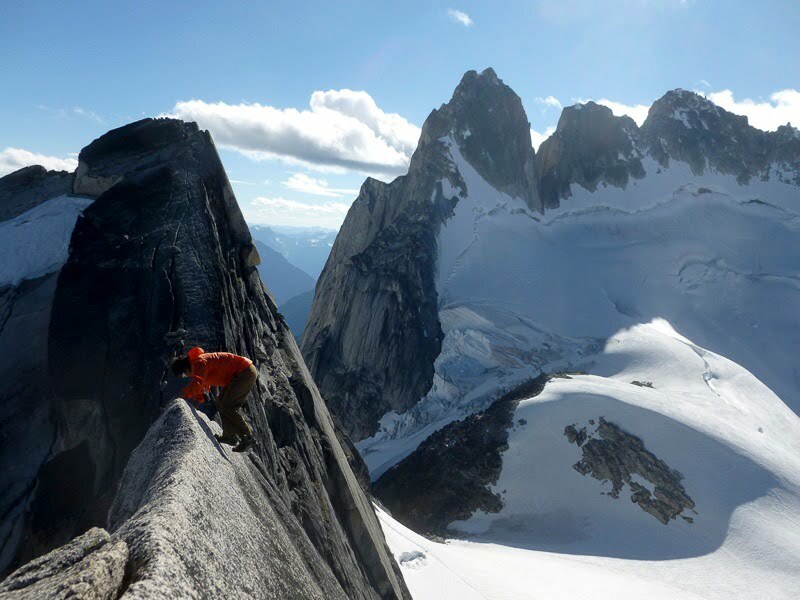 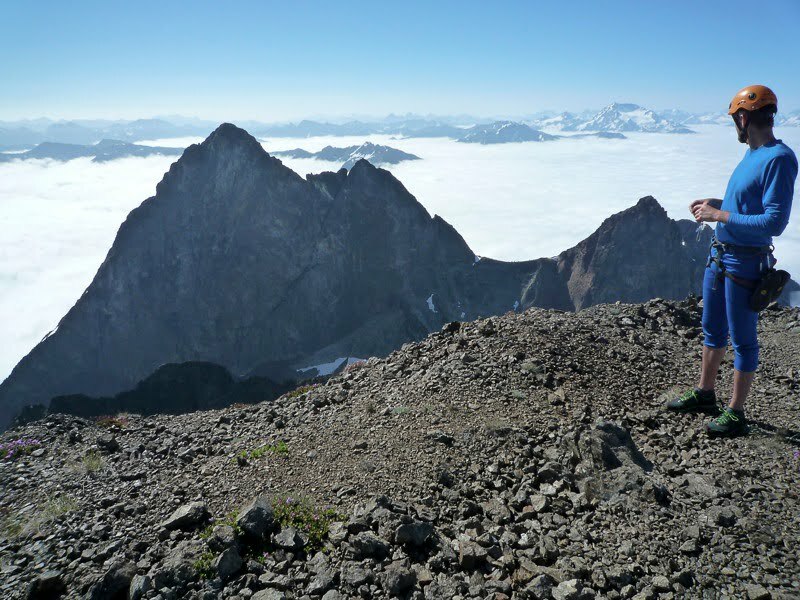 The north face of South Hozomeen is also a very, very impressive and steep face. I think that the north face of South Hozomeen and the west face of North Hozomeen are perhaps the two most difficult walls in the lower-48. 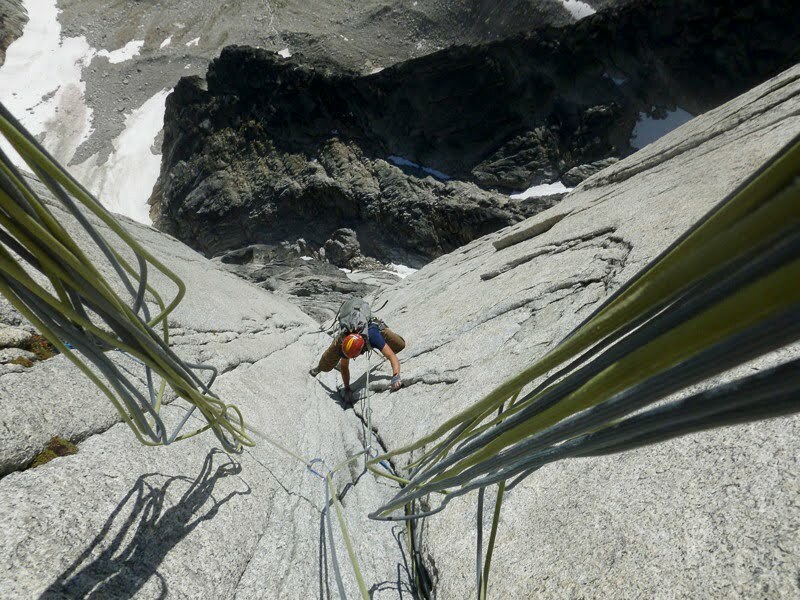 A bolt-free ascent of either will probably require very talented and very bold climbers. 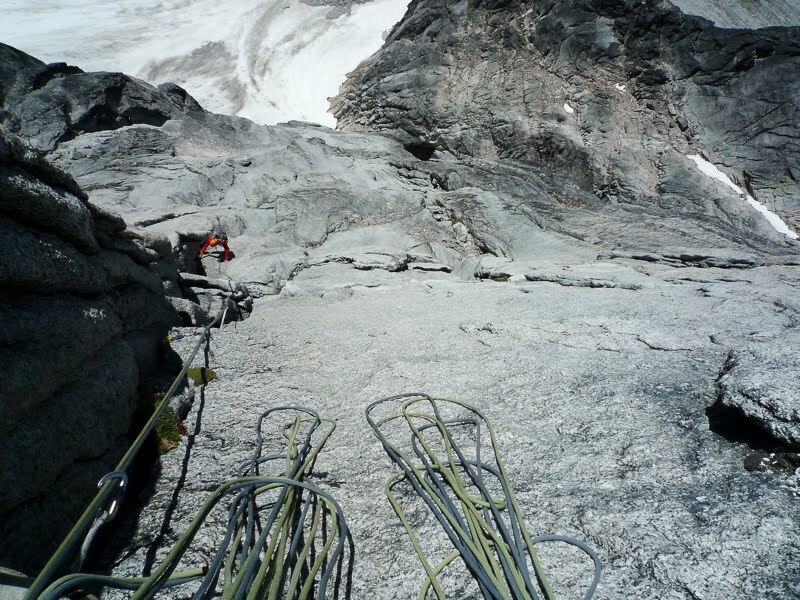 The significance of an ascent with bolts will all depend on how many are placed. 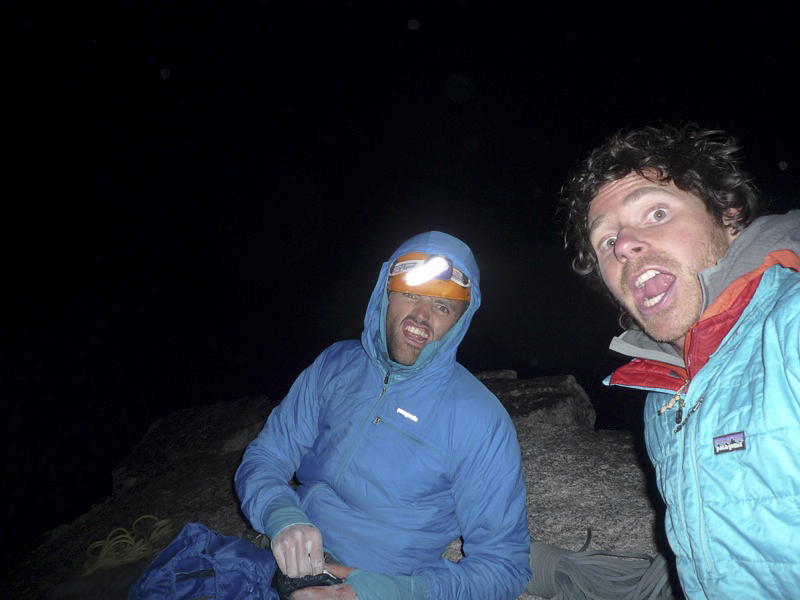 After our Hozomeen foray, we continued north and east to a parking-lot bivy at Rogers Pass, and on the 31st we climbed the mighty Mt. Sir Donald by the classic NW Arete. I thought this was a fantastic climb, on a majestic peak, and the quartzite rock was intriguing and enjoyable. 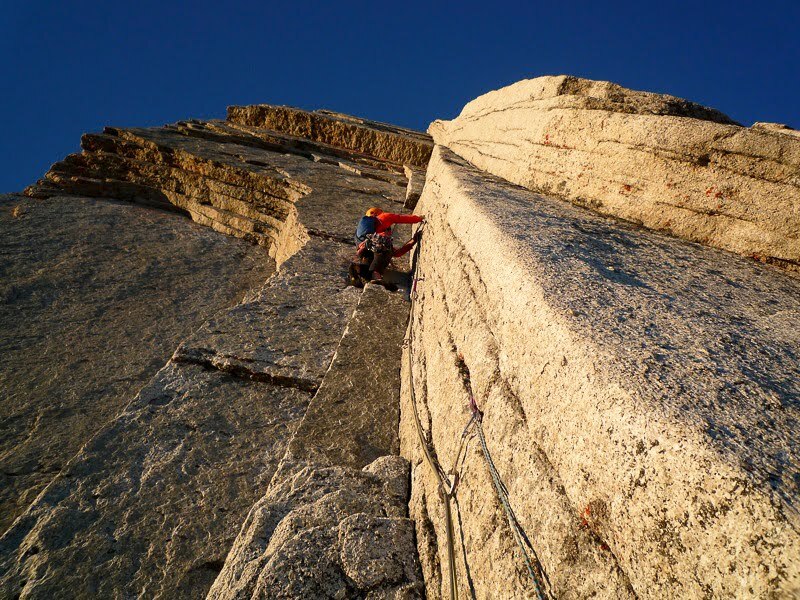 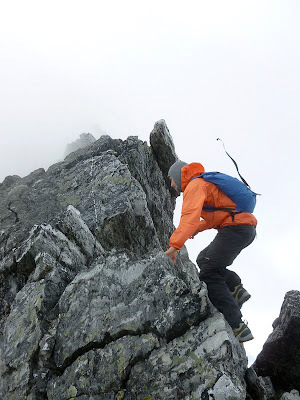 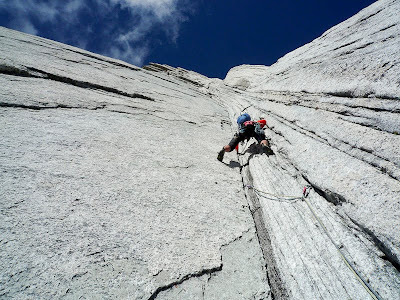 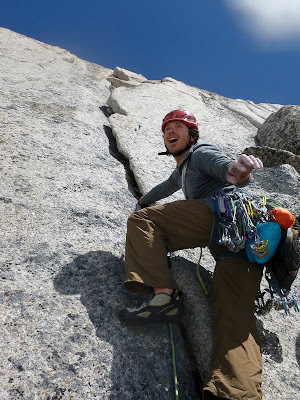 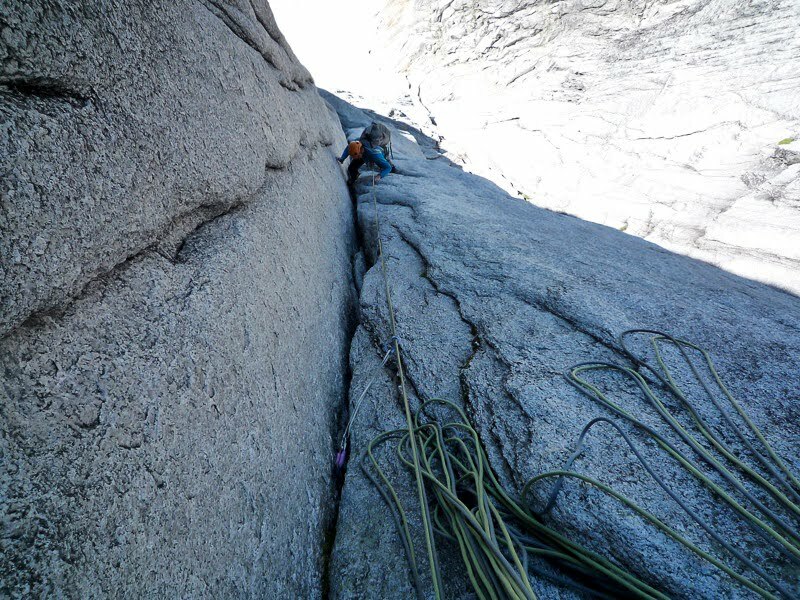 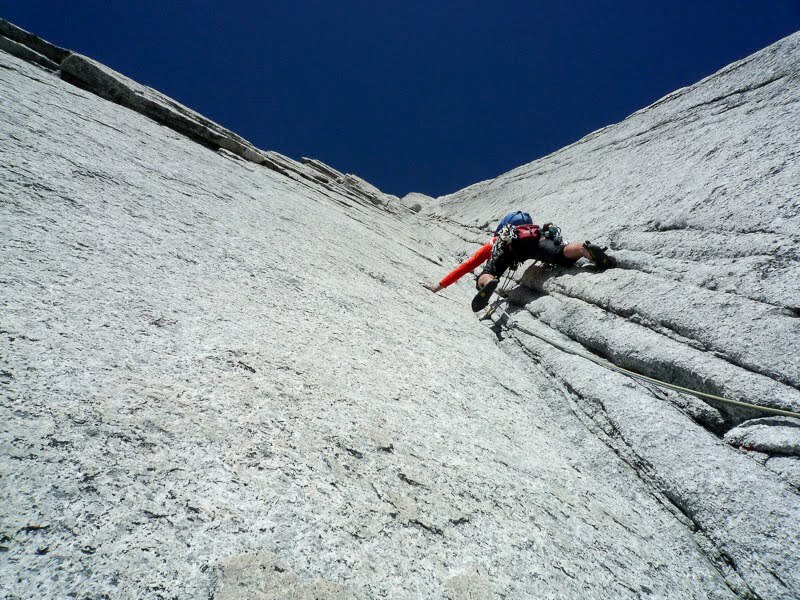 The climbing is technically quite easy (4th class), but the route is impressively long, rising about 800 meters in one uninterrupted soaring ridge. 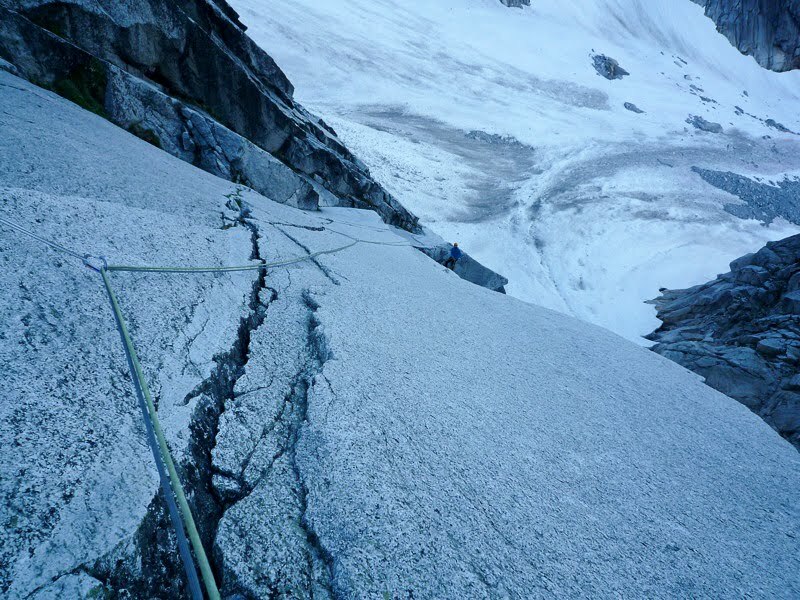 The day after climbing Sir Donald the weather was foul, so we drove further east and spent the afternoon climbing at the "Back of the Lake" in Lake Louise. 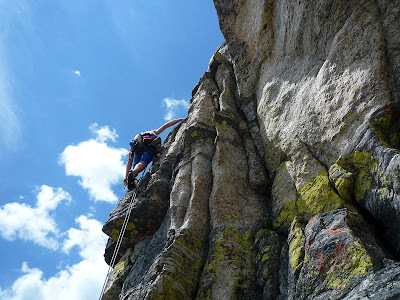 Neither of us had ever been to the Back of the Lake before, and we both thought it was an amazing crag, with traditionally-protected climbs that feel more like overhanging sport routes. 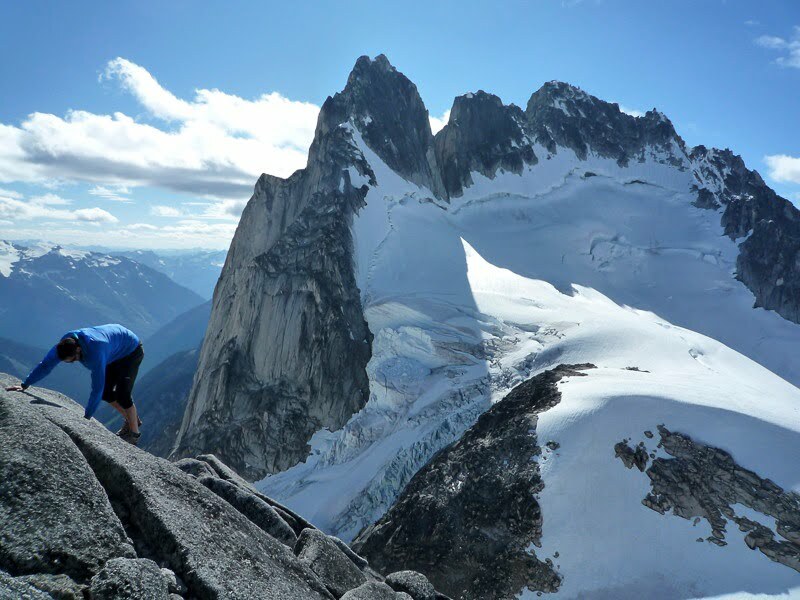 On August 2nd, with still marginal weather, we made the approach into the Bugaboos. 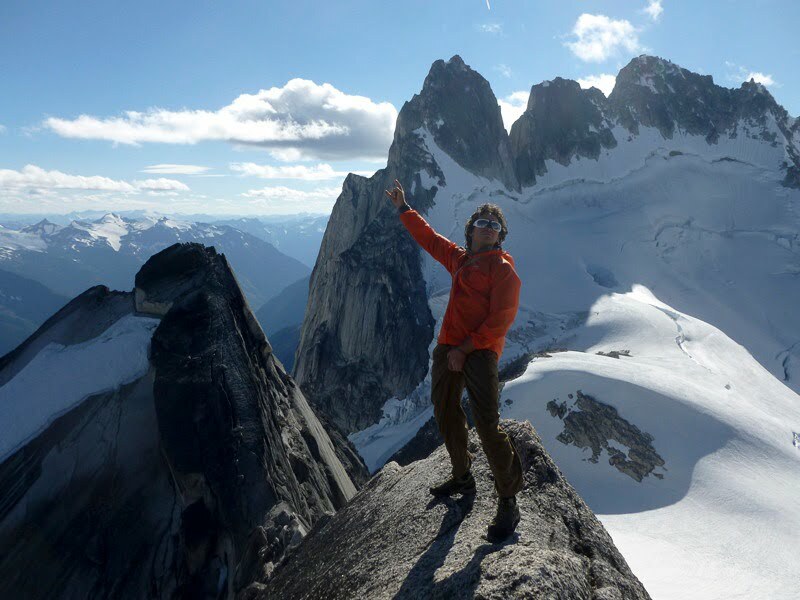 The following day we climbed Snowpatch Spire via "Surf's Up," Pigeon Spire via the West Ridge, and settled into a higher bivouac at the Pigeon-Howser col. On August 4th we climbed North Howser Tower via "All Along the Watchtower." I had climbed the route in 2004 with my friend Mark Westman, but it is definitely a route worthy of doing more than once! When Mark and I climbed it we took étriers and jumars, and short-fixed the upper dihedral, so it was fun this time to just take a normal free climbing rack and just pull on gear here and there. Dylan managed to free-climb everything up to the crux pitch high on the route. On the 5th we hiked out from the Bugaboos, and drove southwest to the Kootenays, and up to the Valhallas. 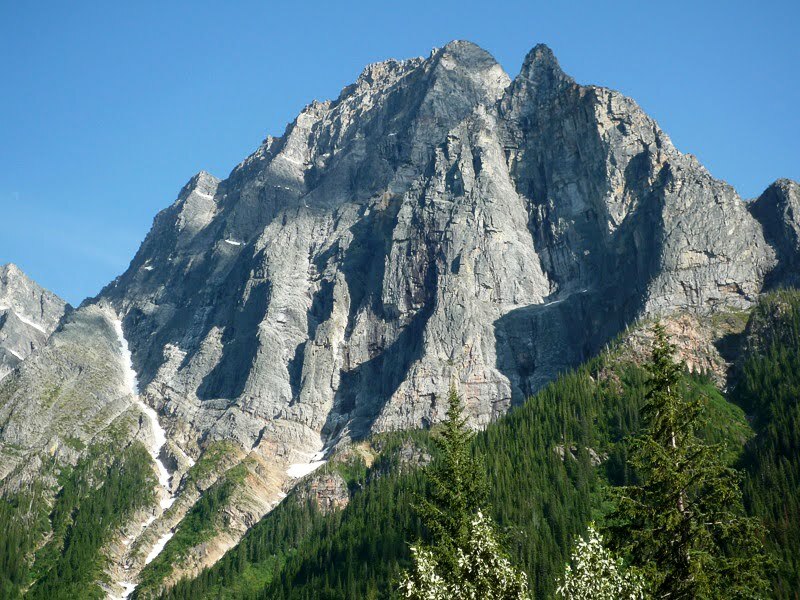 Neither Dylan nor I had ever been in the Kootenay region, and I thought it was a pretty enchanting place. 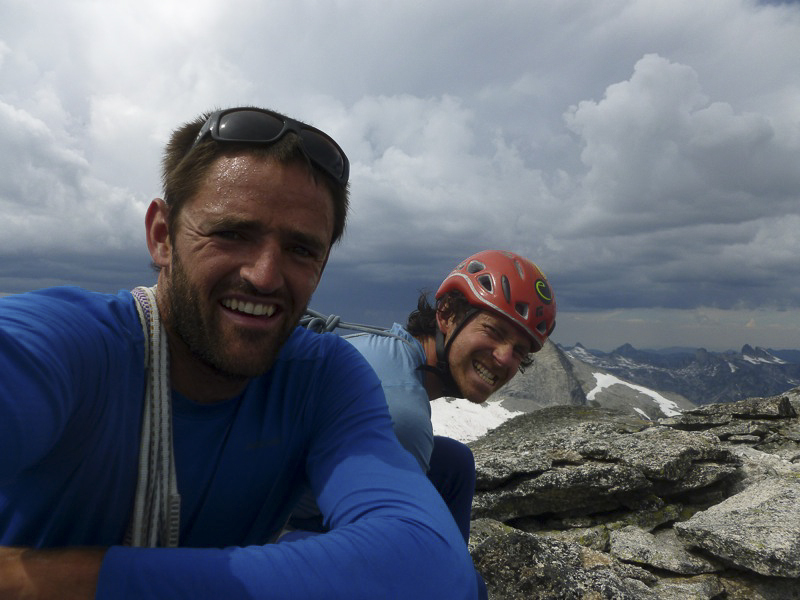 On August 6th we climbed the absolutely outstanding South Ridge of Mt. 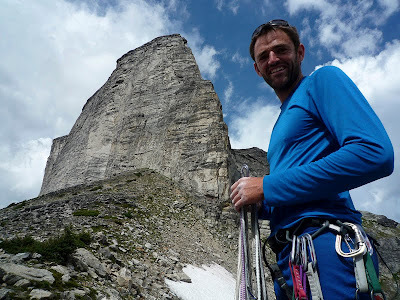 Gimli, and then made the drive home to Seattle (gawking at the limestone sport-climbing ciffs of China Bend along the way). Our mini road-trip did not include much hard, serious climbing, but except for Hozomeen, all of the climbing we did was absolutely world-class. 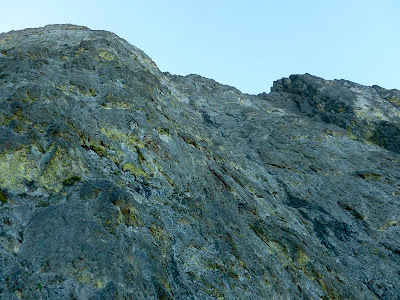 It is amazing how many awesome nooks of climbing are tucked away in little-known parts of BC and Washington. Confirmation yet again that I wouldn't live anywhere else in North America! 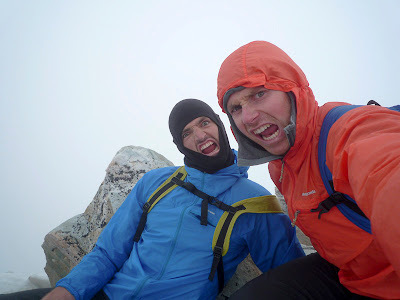 On the summit of the mighty Mt. 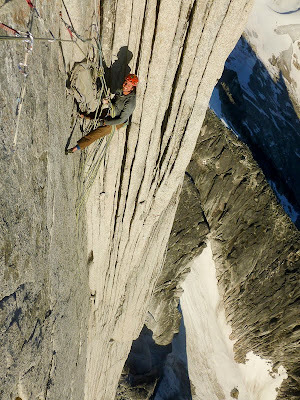 Sir Donald! 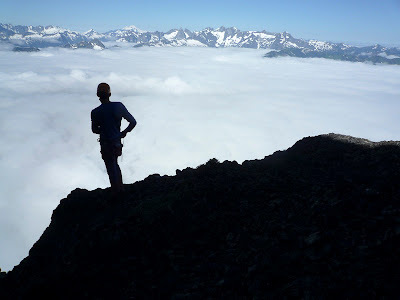 Dylan below the fantastic South Ridge (right skyline) of Mt. 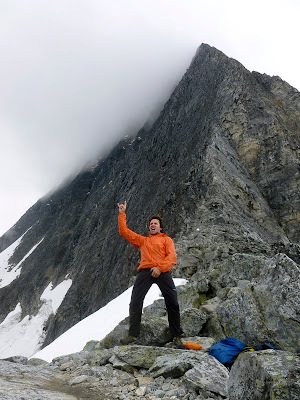 Gimli. 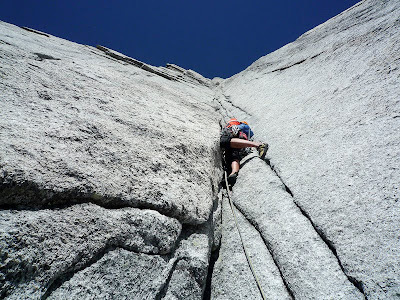 It had some of the most solid, well-featured alpine rock I have ever climbed on, and I will be back to Mt. Gimli for sure!